Jun 22, 2018 Does the Uber driver have an employer? Is the ‘self-employed’ actually an employee? And what will the zero hours worker live from if he or she does not get to work enough hours? These are not new questions, but they become increasingly important as digitalisation accelerates and new forms of employment become ever more common. The future of work demands innovation also when it comes to labour law and social insurance models. Jun 22, 2015 Denmark’s new centre-right government faces the hard task of reforming the country’s unemployment benefit model. 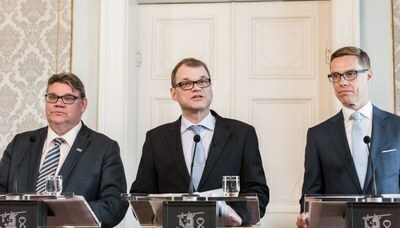 Jun 12, 2015 Negotiations to form a new government in Finland are over and the new government ministers in the three party coalition are ready to start the job of lifting the country out of the economic crisis. For the past ten years there has been plenty of political activity but the results have not materialised. Labour market reform is one of the most difficult issues. May 21, 2015 The fisheries producing the Greenland prawns and halibut still represent Greenland’s most important industry, and the grant from Denmark is still the country’s largest source of money. The dream is for mining and perhaps oil to make up a larger part of the revenue. Our short trip to Ilulissat, Greenland’s third city, gave us a good insight into the nature, culture and a changing society where tourists are offered four star experiences. Oct 15, 2014 "There is a fire of resentment burning across Europe, and there’s an urgent need to calm tensions. Social scientists need to get involved. Dogmatic economists have been allowed to dominate the debate for too long," says Maurizio Ferrera, Professor at the University of Milan. May 02, 2011 Nokia is shedding thousands of staff world-wide - the equivalent of one in ten workers within its mobile telephone business. The move is part of Nokia's attempt to remain in profit and improve the growth outlook within a completely new technological ecosystem. Apr 11, 2010 After a lot of to-ing and fro-ing the Swedish Parliament passed legislation on 24 March to reflect the Court of Justice of the European Union's judgement in the much-debated Laval case.